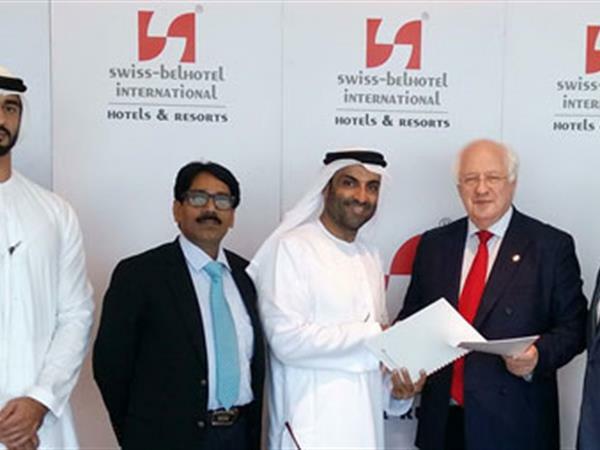 The agreement was signed in Dubai recently by Sultan Ali Lootah, Managing Partner of Vault Management Consultants and Gavin M Faull, Chairman and President of Swiss-Belhotel International. "The shift towards a green and smart environment is an important move especially when it is in line with U.A.E’s vision of promoting the use of alternative energy to preserve our natural resources and rationalize expenditure," stated Sultan Al Lootah. "It is a great opportunity to be associated with the global hotel management group, Swiss-Belhotel International, where Vault Group can utilize its expertise in investment, information technology and guest management systems," Mr Ali Lootah added. There are cutting edge developments in technology systems, which include energy management, building management and other smart hotel solutions as well as information technology systems. Both parties will work together on joint development opportunities in these specialised areas. "The hotel industry needs to keep upgrading its information technology systems, guest loyalty systems, telecommunication systems to meet the needs of the ever dominant millennial market and the Vault Group will be an important partner in this respect to ensure we remain competitive," said Gavin M Faull. “ In addition, the investment strength and the undeniable interest of the Vault Group to invest in the hotel developments in Asia where Swiss-Belhotel International has a huge presence, is also a critical element of the partnership,” Mr Faull added. This joint venture is an exciting development for both Groups and it will be a great opportunity for Swiss-Belhotel International to bring investment capability to many of the hotel developments, especially in the Asia/Pacific and the China regions, as well as developing state-of-the-art technology and management systems. Swiss-Belhotel International currently manages a portfolio of more than 125 hotels, resorts and projects located in China, Vietnam, Philippines, Malaysia, Indonesia, Bulgaria, Georgia, Turkey, Bahrain, Iraq, Kuwait, Oman, Qatar, Saudi Arabia, United Arab Emirates, Australia and New Zealand. Awarded Indonesia's Leading Global Hotel Chain for five consecutive years, Swiss-Belhotel International is one of the world's fastest-growing international hotel and hospitality management groups. The Group provides comprehensive and highly professional development and management services in all aspects of hotel, resort and serviced residences. Offices are located in Hong Kong, New Zealand, Australia, Europe, United Arab Emirates, China, Indonesia and Vietnam.